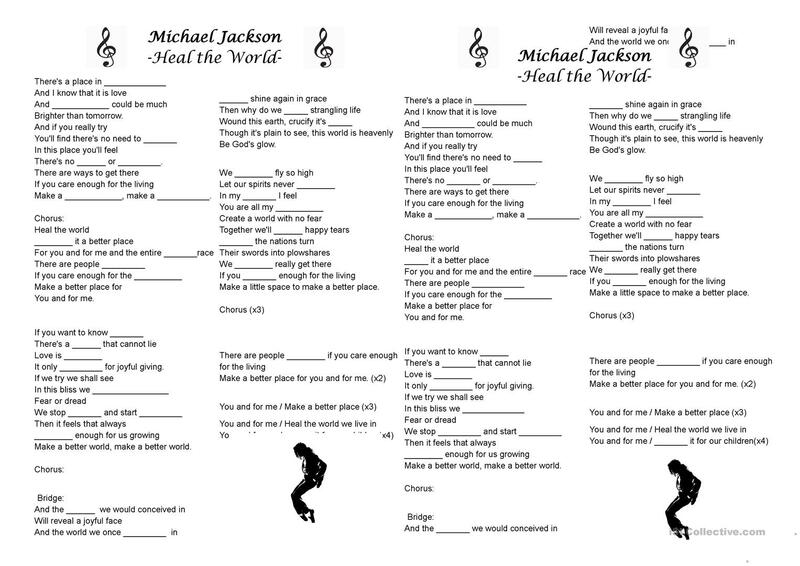 Listening and fun comprehension exercise with this beautiful song by Michael Jackson. 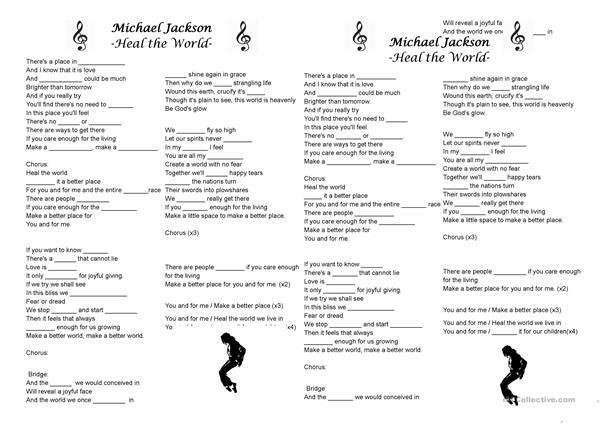 Good to practise English, sing and learn or talk about values. 100% editable. You can change anything you need. The present printable, downloadable handout is recommended for high school students, elementary school students, adults and students with special educational needs, learning difficulties, e.g. dyslexia at Beginner (pre-A1), Elementary (A1), Pre-intermediate (A2), Intermediate (B1) and Upper-intermediate (B2) level. It is excellent for developing your groups' Listening and Speaking skills. Henneth is from/lives in Spain and has been a member of iSLCollective since 2013-03-12 18:09:54. Henneth last logged in on 2019-04-24 12:20:52, and has shared 8 resources on iSLCollective so far.